As the holidays rapidly approach, many people and organizations are taking their role as the hands and feet of God seriously as they seek to bless the needy in their communities. 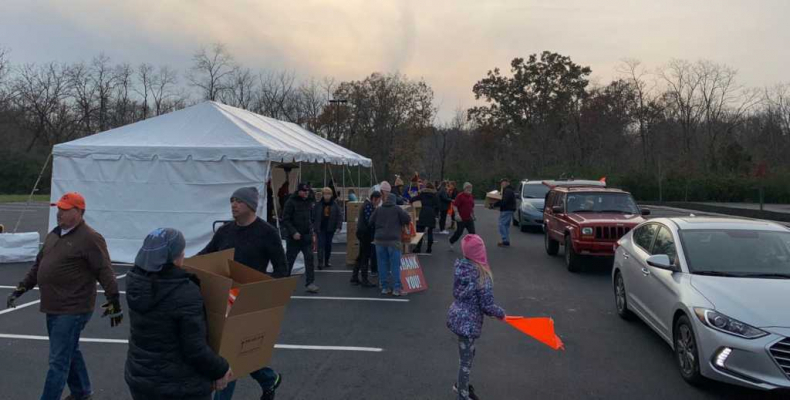 Crossroads Church in Cincinnati, Ohio, is doing that to an amazing degree with their massive Thanksgiving food drive. For the last twenty years, the church has collected massive amounts of food to prepare and give away to thousands of families in need in the bustling urban area. This year, they expect to feed over 115,000. In addition to distributing the food locally via churches, schools, and delivery, the church will also ship some 60,000 pounds of food to ministry partners in South Africa.